Manufactured in Allemagne from 1962 until 0. 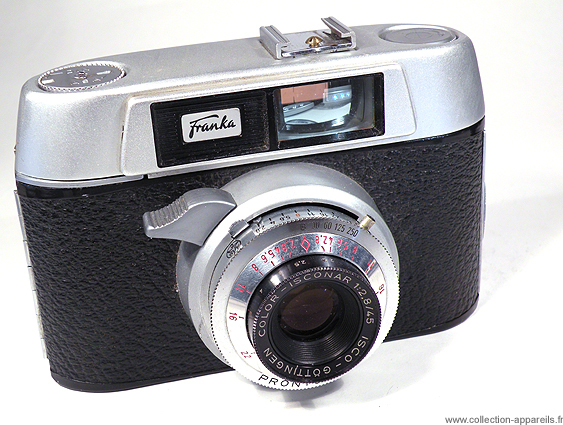 The Franka Francolor Camera are, for most of them, simple devices, economical and well made ​​models. This one, or more exactly this series (because Francolor are numerous), is no exception to the rule. Everything is manual, but an effort is made to facilitate the task of the user, such as oversized lever or rapid cocking lever on the back of the unit.